Finding the best Camping tableware set can end up saving you money and helping to improve the environment. While many families simply use paper plates and plastic silverware while camping, these items can end up being expensive and harmful for the environment. 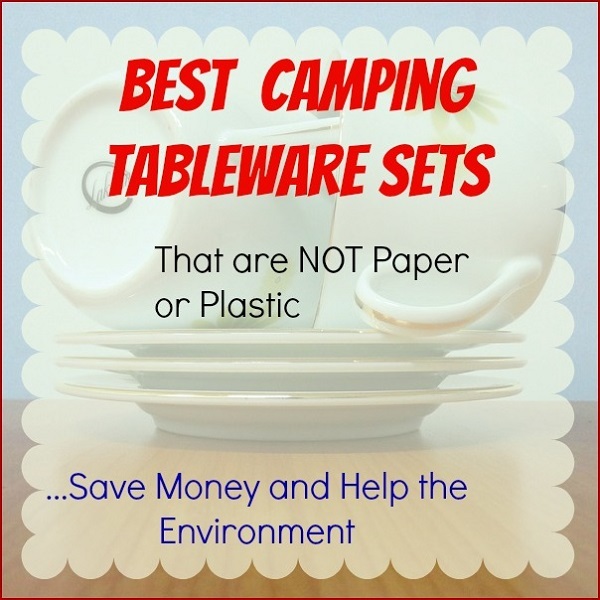 Here are some great camping tableware sets we can find. These tableware do last longer than paper and plastic plates. So they will help you save money in the long run even as you help the environment. 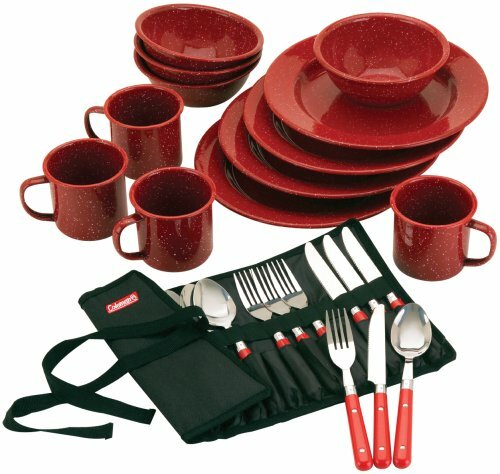 Coleman 24-Piece Enamel Dinnerware Set This Coleman 24 Piece Enamel Dinnerware Set is perfect for camping. This set is bright and cheerful with the dish set being a nice shade of red with speckles. The set includes 4-10 inch plates, 4-6 inch bowls, 4-12 ounce cups and 4 each forks, knives and spoons in a roll up pouch. These dishes are durable, attractive and easy to clean. They are also extremely lightweight, well made and easy to store. Users really like this camping dinnerware set. 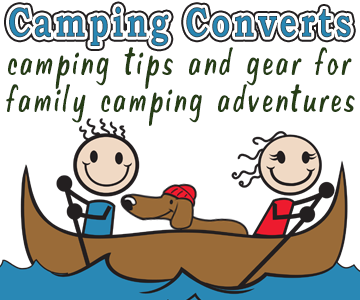 They use it when backpacking, car camping and even in their beautiful fifth wheel campers. 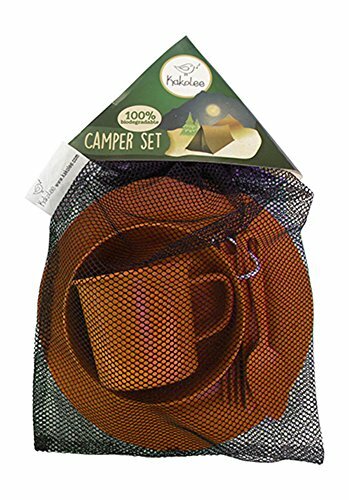 Premium Eco-Friendly, Bamboo Fiber Camping Set When my kids were growing up they each had their own version of a camp mess kit each in a different color. This proved ideal for attending to camp chores because each of the children, once they were old enough were responsible for cleaning their own dishes. Having different colors there was no mix up in whose dishes needed to be cleaned. This Kakolee Camp Mess Kit comes with a plate, bowl, cup and cutlery that can be hooked together with a carabinar. There is also a mesh bag the dishes can be placed into in order dry or to dunk in a stream or a pan of water to rinse off before washing. This mess kit is made of bamboo and comes in a variety of colors. These dishes are easy to clean, sturdy and high quality. Snow Peak Tableware Duo Set, Large The Snow Peak Tableware Set is a set of stainless steel dishes perfect for families of 2 people. This set of dishes comes with 2 plates, and 6 bowls (2 bowls of each size). 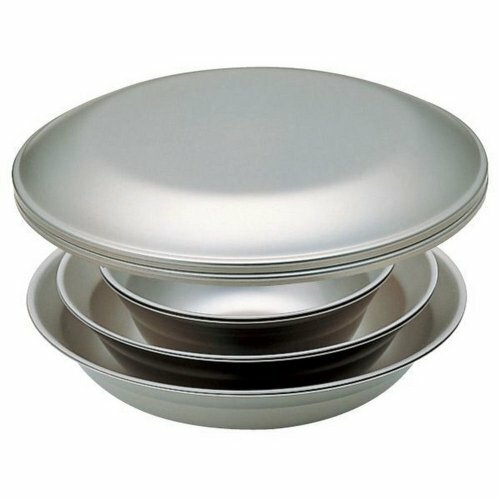 All of the dishes fit together into one compact package and are both sturdy and durable. Best of all, these dishes are rust fee which makes them perfect for outdoor use such as picnicking or camping. 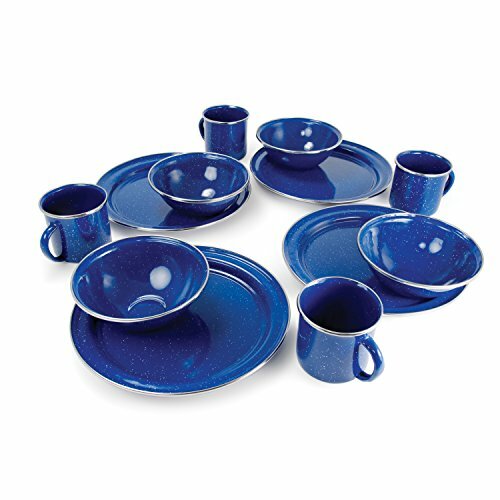 GSI Outdoors Pioneer Table Set – 12 Pieces (BLUE) This GSI Outdoor 12 Piece Pioneer Table Set comes with 4 each of bowls, plates and cups. This set of dishes is made of heavy gauge steel with an enamel finish and stainless steel rims. You can also purchase a matching coffee pot and silverware set separately. This set comes in blue or green and is incredibly sturdy. However, because these dishes are made of steel they are somewhat heavy. So they are more suitable for car camping than for they are for backpacking. But they are bound to hold up to the rigors of camping and occasionally be dropped on the ground. These dishes clean easily and the enamel is actually quite tough. 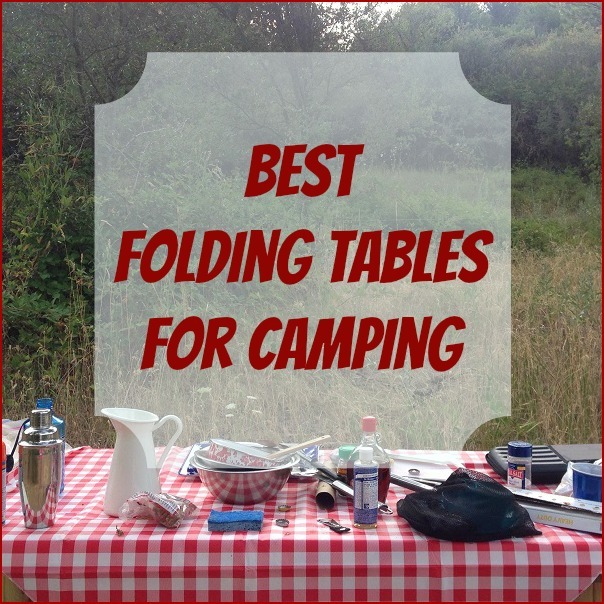 Having the best camping tableware can actually make camping easier and more convenient. It will also help you save money in the long run while helping the environment. 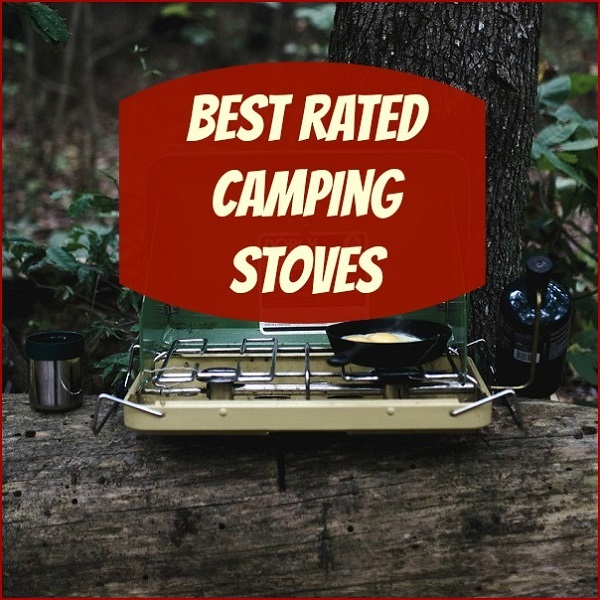 Best Rated Camping Stoves for Easy Camp Cooking! 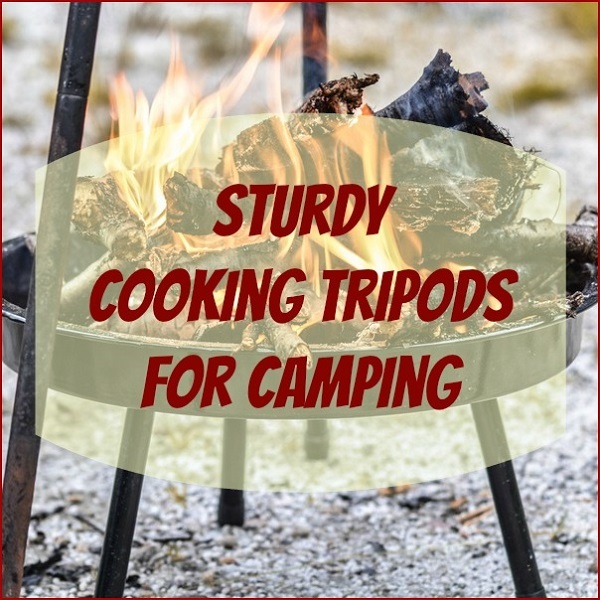 Sturdy Cooking Tripods for Camping and Easy to Set Up Too!